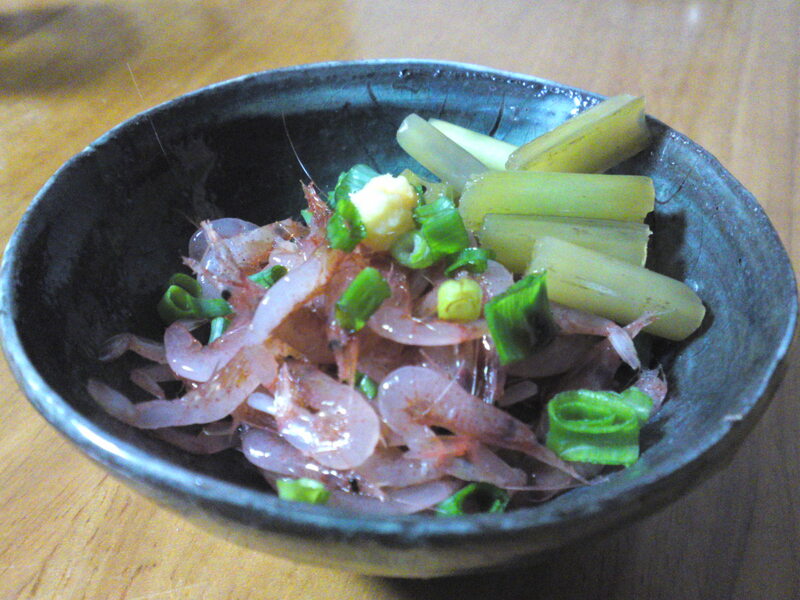 Japanese Appetizer (O-toushi/お通し): Firefly Squids & Kimchi! 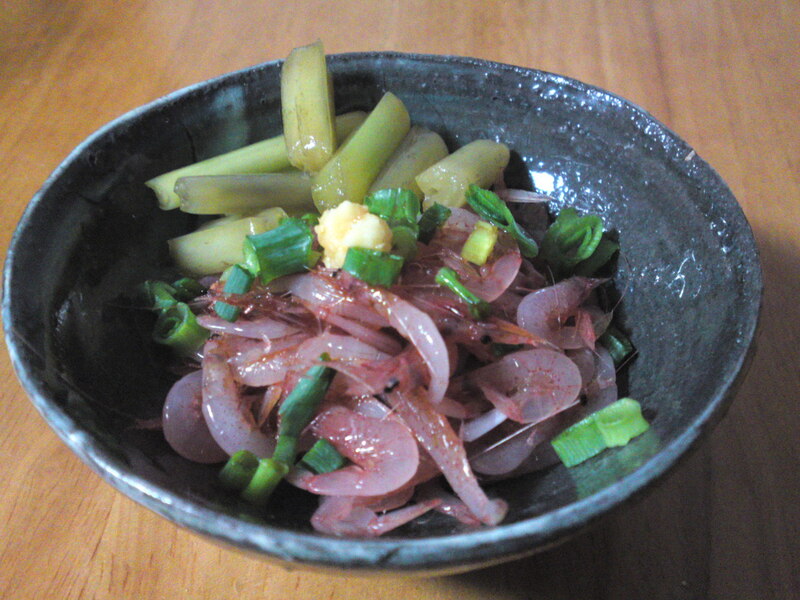 Firefly squids are called Hotaru ika/蛍烏賊 in Japanese! They are minuscule and are called so because they are luminescent and brighten the sea along your boats! 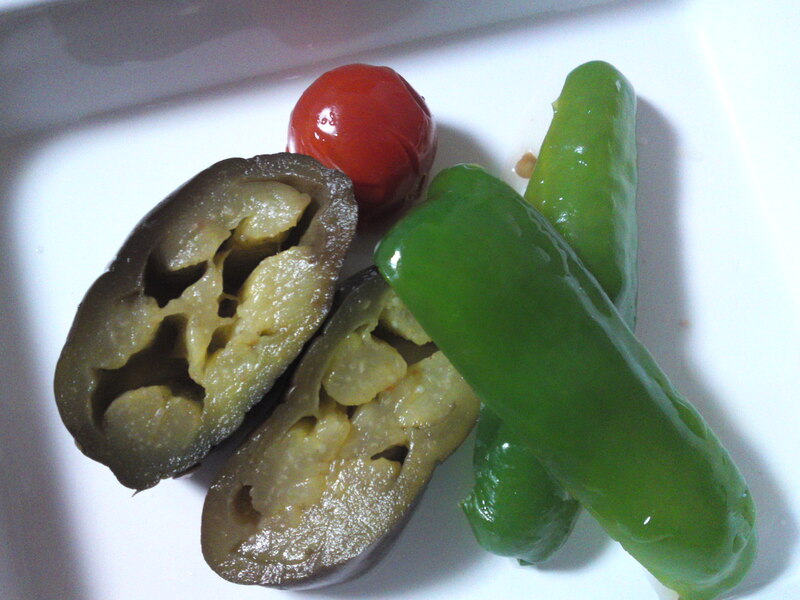 Here in Shizuoka they are sold in supermrakets either fresh and raw or boiled. Dragon found some boiled at the supermarket yesterday. 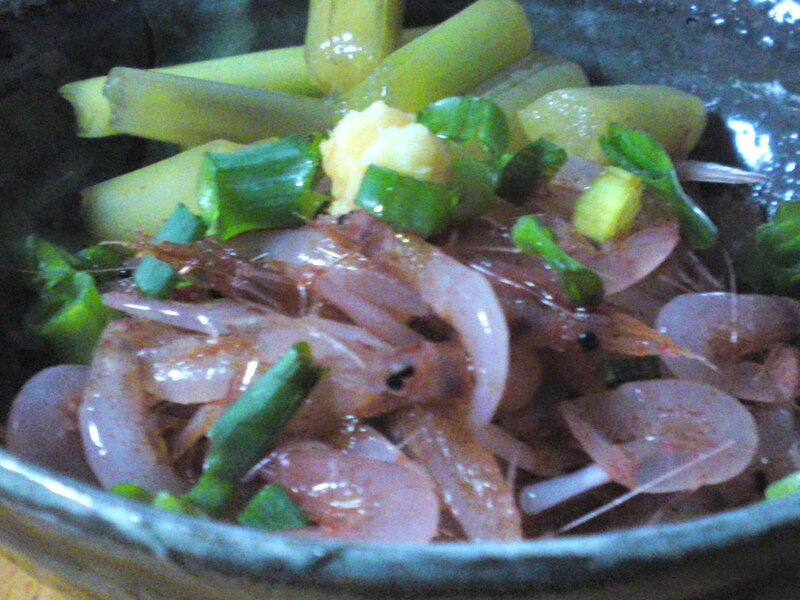 Their seafood taste is quite strong as compared to raw ones and seasoning is needed indeed! 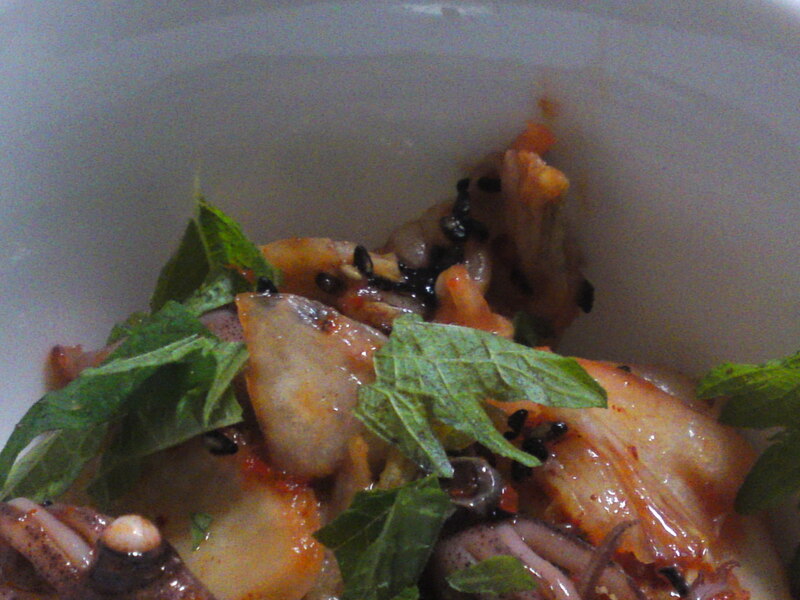 Dragon had also bought them with plenty of relatively mild kimchi! She added some to the suids (half and half) and green shiso/perilla leaves torn into small pieces. Last night Dragon treated me to a double marinade! 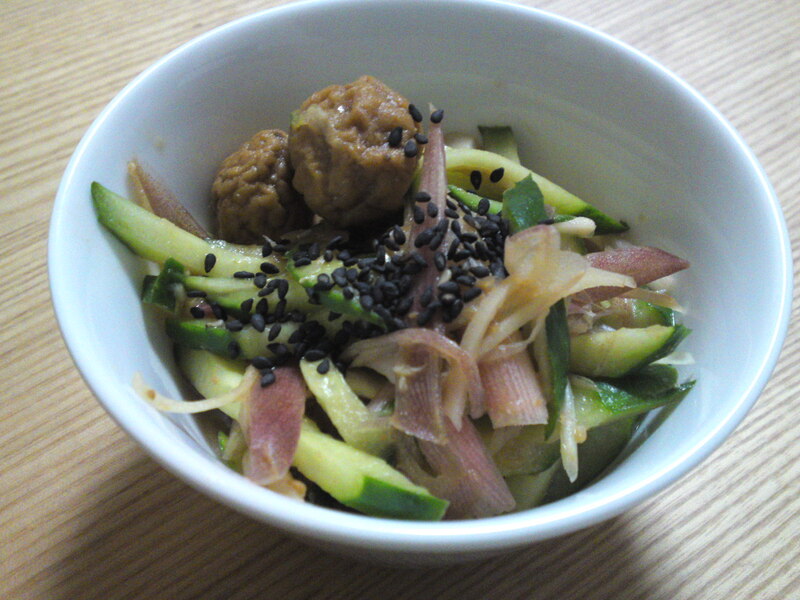 Ha shooga/fresh leaf ginger, myoga/Myoga ginger, cucumber marinated in olive oil, rice vinegar and what else served with homemade miso umeboshi and sprinkled with black sesame seeds! 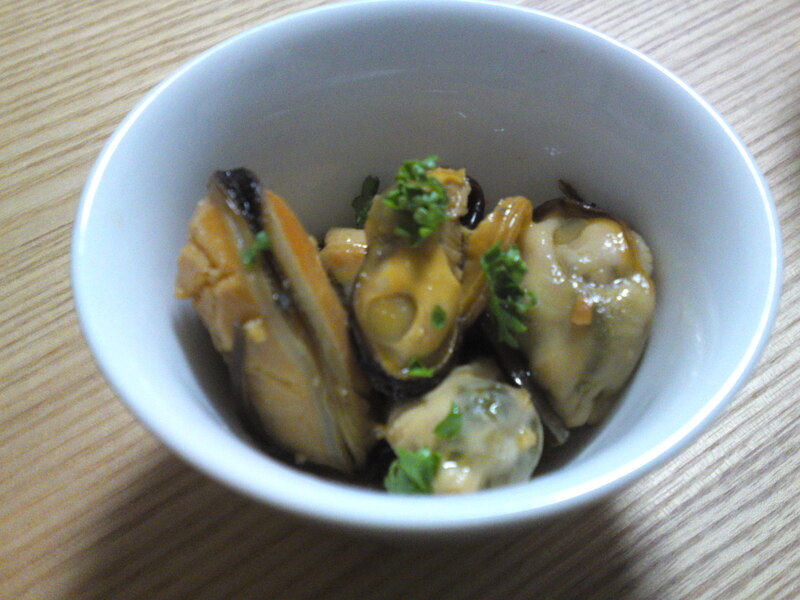 as for the mussles she had some boiled and frozen in the refrigerator. After thawing them she stir-fried them in olive oil, vinegar and chilies and served them sprinlkled with some finely chopped scallions! Dragon made it a double O-toushi last night! 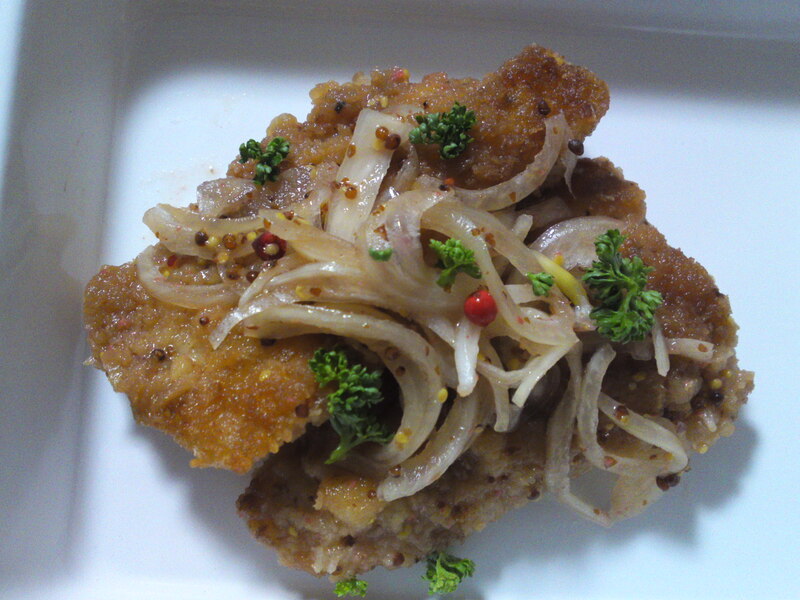 The first one has been a specialty of here for quite some time: Deep-fried Ton Toro (soft) pork she first prepared as tonkatsu, that is deep-fried in flour, egg and panko. At the same she fried some thinly sliced onion. She transferred the lot into a Tupperware with rice vinegar, two different types of mustard, one being cassis mustard, and pink pepper. She let the whole marinate for about 4 hours inside the refrigerator! 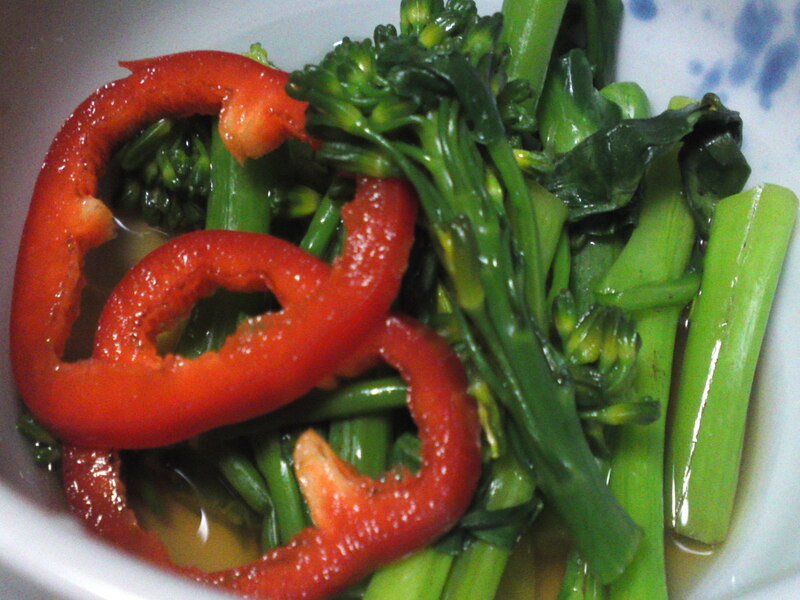 The second one was O-Hitashi, that is, lightly cooked and marinatedvegetables served cold. 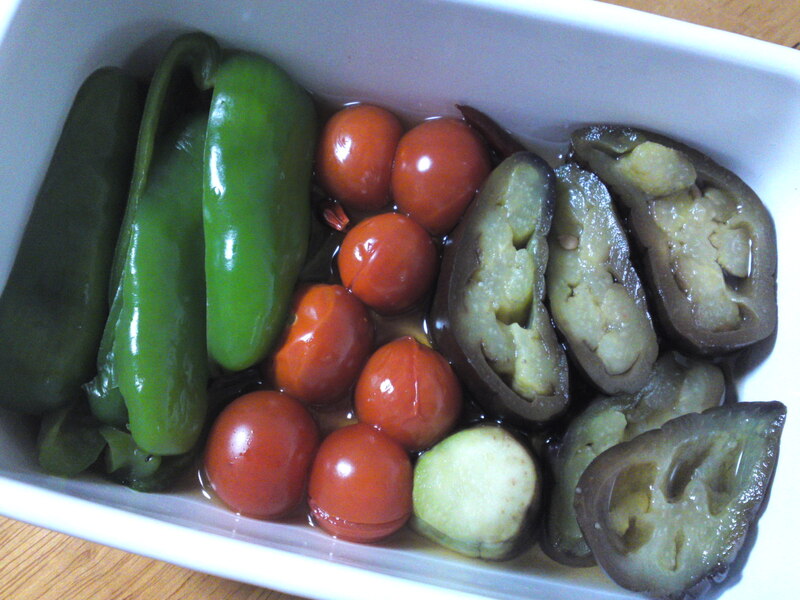 She first cooked the vegetables inside the microwave oven to soften them up. She tehn marinated with mentsuyu and some chili pepper for while in the refrigerator! Of course both appetizers marry perfectly with any drink! 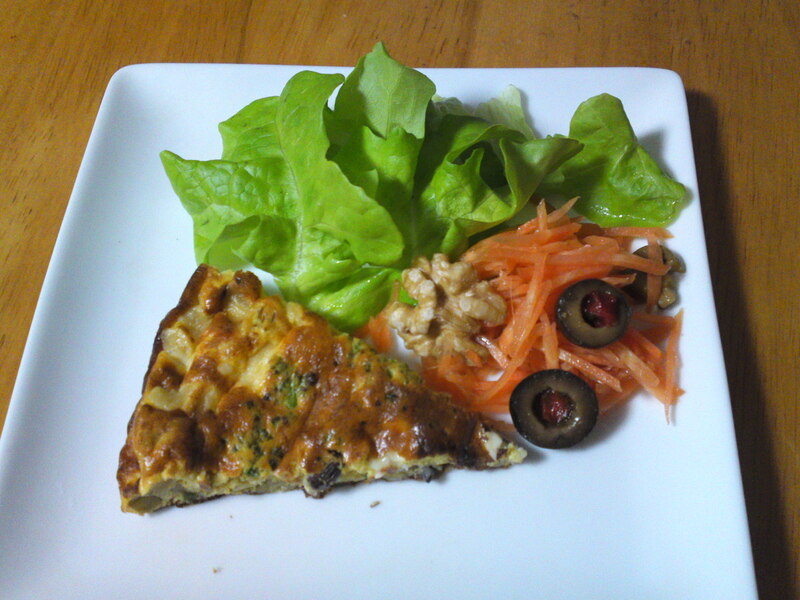 Japanese Appetizer (O-toushi/お通し): Cold Spanish Omelet & Salad! 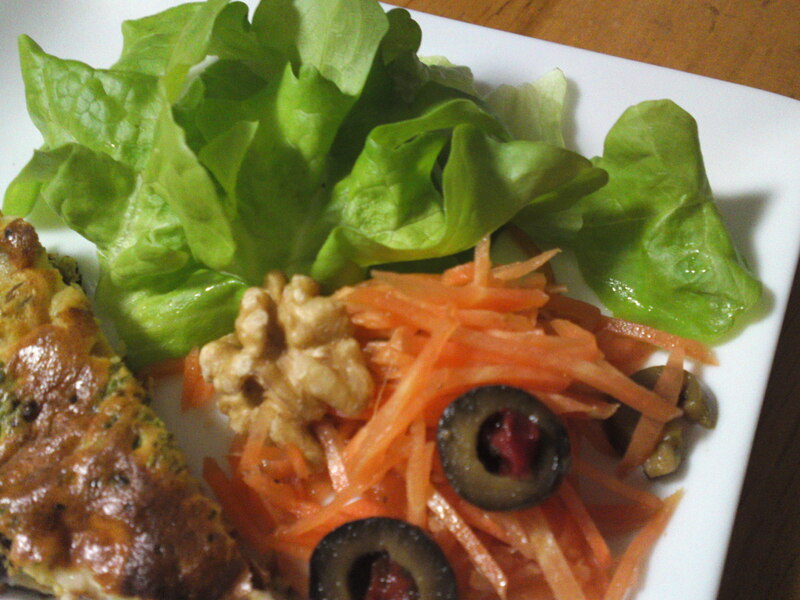 The great thing about such light food to entice your appetite does not have to be Japanese food! Actually, the Japanese are constantly introducing new trends, be they Japanese or foreign, into their own gastronomy to the point that names mean very little. I could actually call o-toushi a kind of tapas! 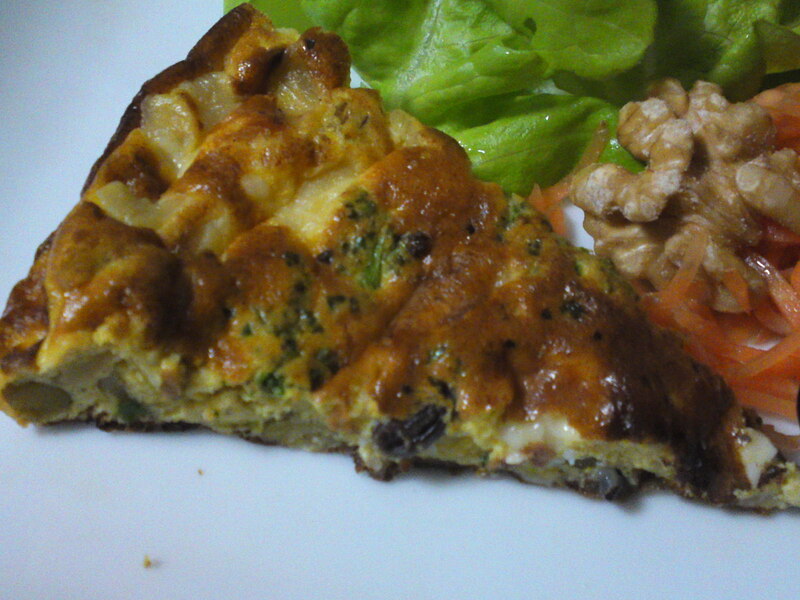 Dragon had some small beans and cold boiled vegetable leftovers, so she cooked a Spanish-like omelet of a small fire with difference that she had added shredded cheese to the eggs giving the omelet the identity of a quiche. With fine lettuce, shredded carrot, walnuts, olive and a little good quality olive oil, it does make for a real appetizer! 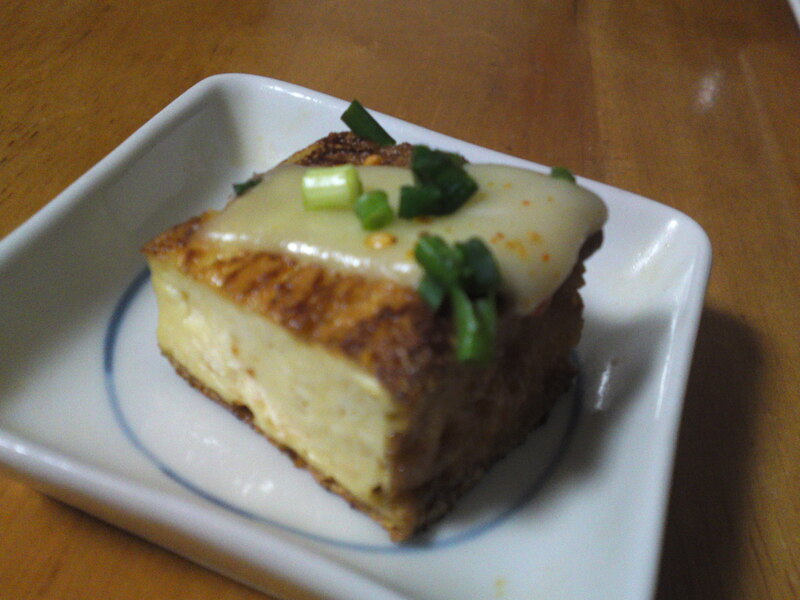 Tofu is a very versatile food. 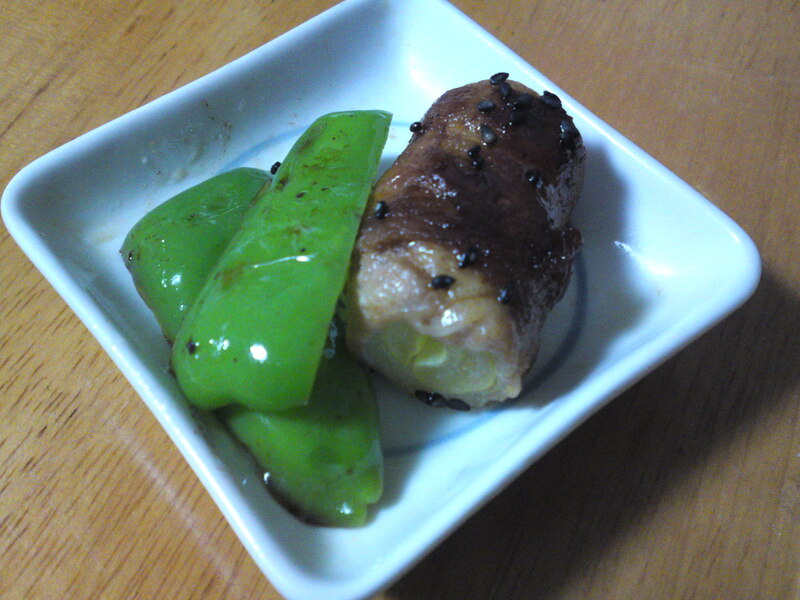 Dragon likes to buy it as Aburage/Deep-fried tofu, cut it cubes and dry fry them (their surface contains enough oil!) with some cheese, finley cut leeks and parsley! 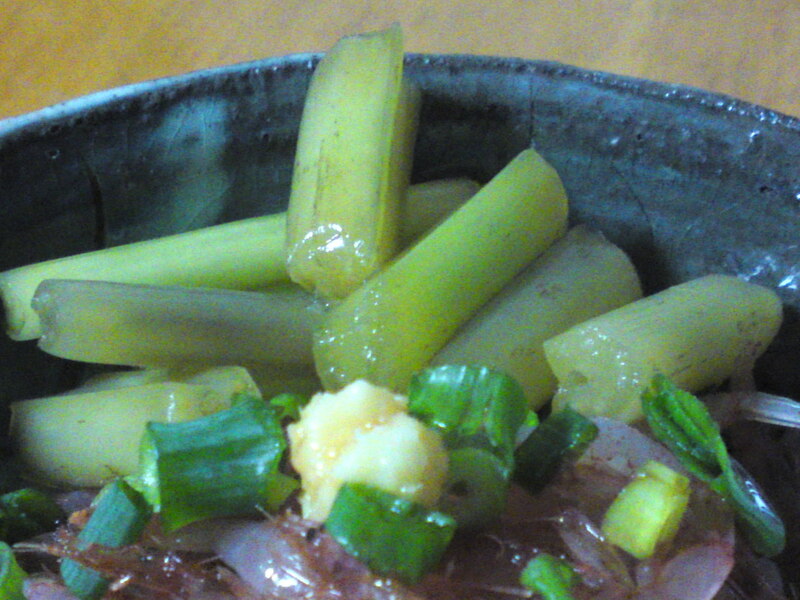 Another version id\s to fry the pieces of wasabi dressing first! New leeks are appearing on the market. Did you know they are effective against common colds! 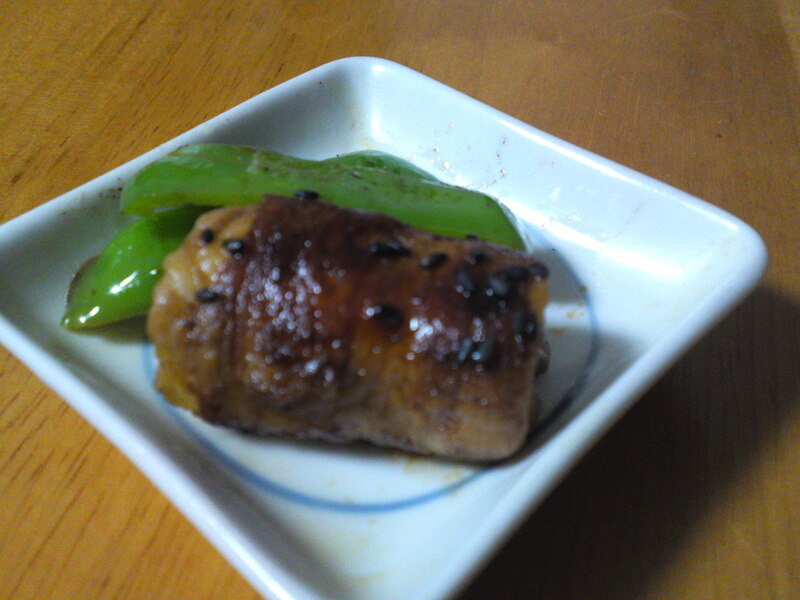 Dragon pieces of leek in thin pork belly strips and fried them together with some pieces of green pepper in light bbq sauce! 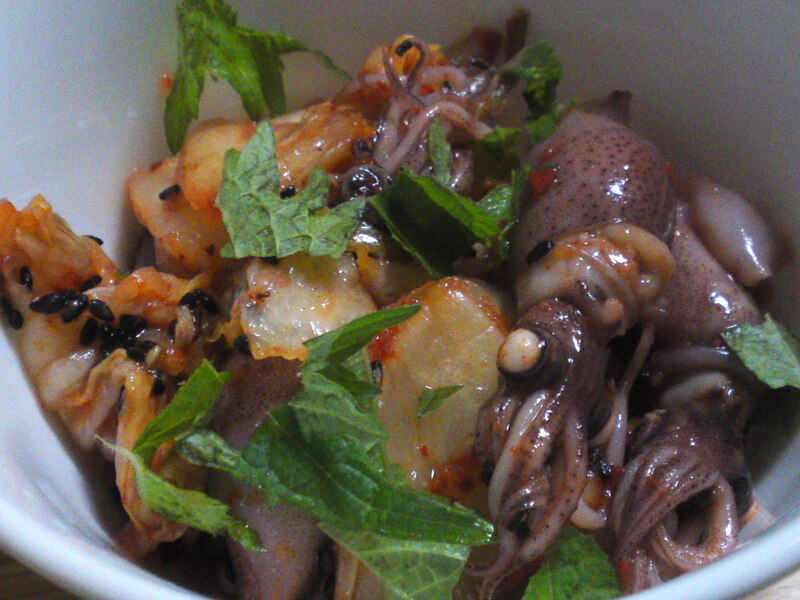 Perfect with beer, wine or sake!